Yoga guru Ramdev is gearing up to spearhead India's first government-recognised board for Vedic education. A selection committee on Saturday adjudged his Trust's bid for setting up the proposed Bharatiya Shiksha Board (BSB) as the best. Later this week, a five-member panel’s recommendation will be considered by the governing council of the Maharshi Sandipani Rashtriya Vedavidya Pratishthan (MSRVP), headed by HRD Minister Prakash Javadekar. The MSRVP, a fully-funded autonomous body under the HRD Ministry working on promotion of “Ved Vidya”, has been entrusted with the responsibility of appointing a private sponsoring body for putting the BSB in place. Other contenders included: The Ritnand Balved Education Foundation, which runs the Amity group of institutions, and Pune-based Maharashtra Institute of Technology were the other contenders. The three contenders had earlier made a presentation to the five-member selection committee. According to Indian Express, Acharya Balkrishna, who represented Patanjali Yogpeeth offered to invest Rs 21 crore for the development of the Board. He said that the Patanjali wanted to house BSB's headquarters in Haridwar and that the Trust had the required infrastucture for the Board. Balkrishna also informed the panel that the Trust would want Ramdev appointed as the chairperson. Interestingly, three years ago, the HRD Ministry under Smriti Irani had rejected Ramdev’s proposal for establishing a Vedic education board. Irani had expressed reservations about the government recognising a private school board. Modi government proposed the Bharatiya Shiksha Board to ensure standardisation of “Indian traditional knowledge”, such as Vedic education, Sanskrit education, Shastras and Darsanas, etc. The Board will draft syllabus, conduct exams, issue certificates and recognise Gurukulas, pathshalas and schools that offer a blend of Vedic and modern education. The Board will charge an affiliation fee and examination fee from schools, just like CBSE does. Earlier, the government gave in-principle approval to a Vedic university to be established at the central level, which will be run by Patanjali. 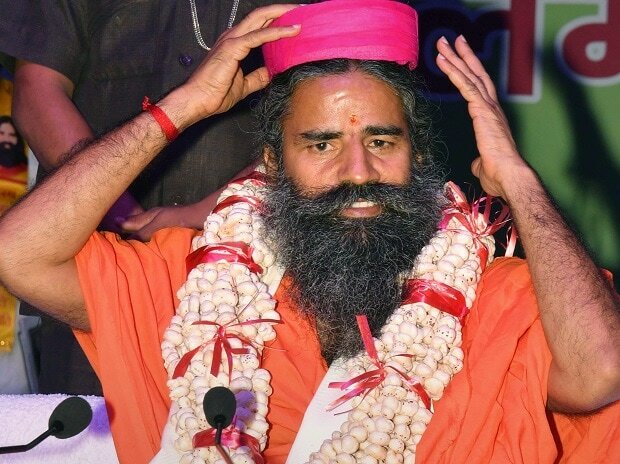 According to a news agency, Ramdev had expressed his intention to become the chairperson of the university and also offered to bear the expenses.